The natural beauty of cedar shake roofing. Lifetime performance…. Interlock® Shake panel is a two way interlocking aluminum roofing system. 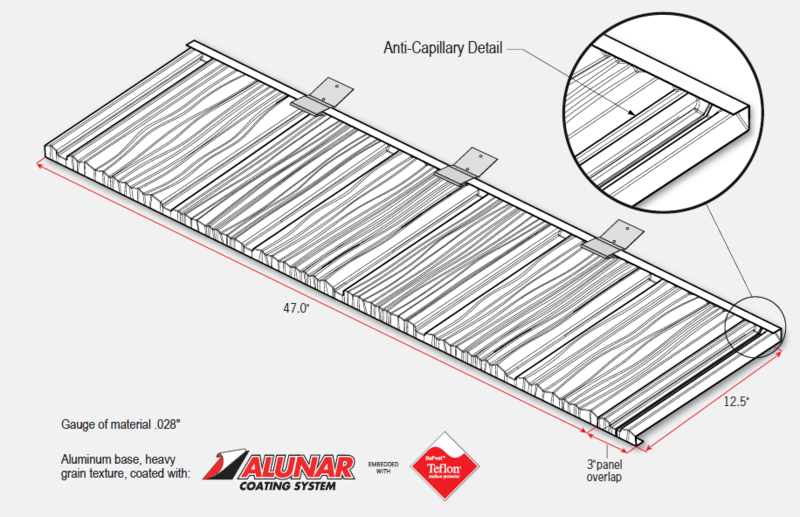 Each shake panel is embossed with a heavy grain texture, coated with the Alunar® Coating System embedded with TEFLON® surface protector to provide an extremely durable and attractive surface. A complete range of color matching trims are available. The Interlock® Roofing System comes complete with a 50 Year Transferable, Non-ProRated Lifetime Limited Warranty.